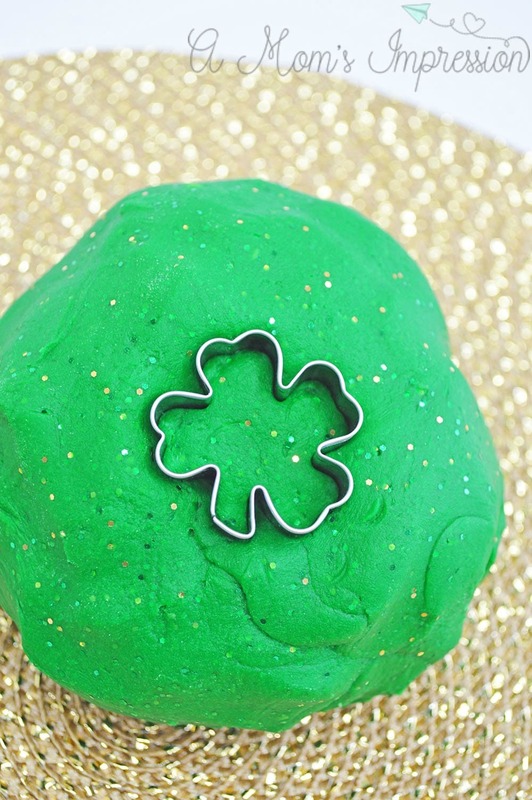 Make this fun homemade St. Patrick’s Day glitter playdough recipe for your kids. 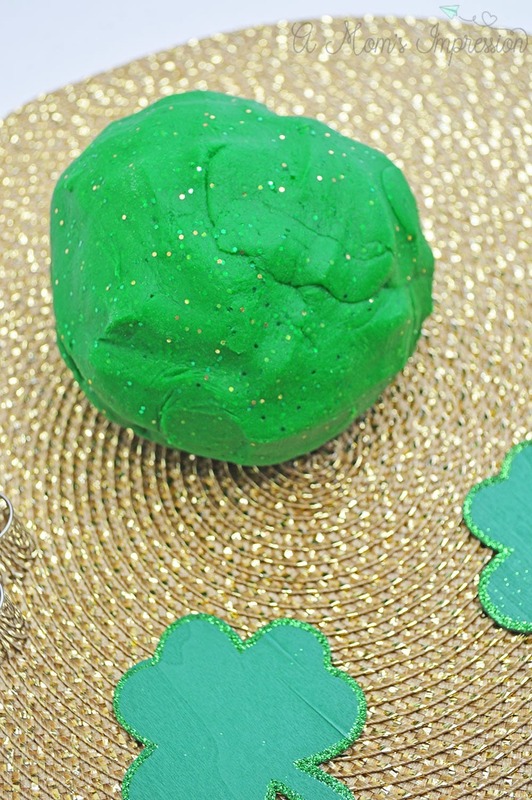 Playdough is an easy and fun activity to DIY with your toddler. They can create and let their imaginations go wild! 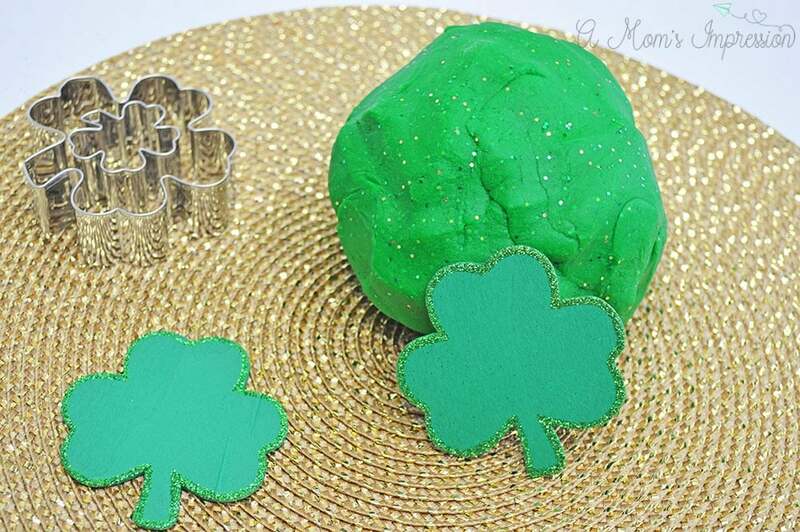 Finding St. Patrick’s Day crafts for toddlers is a lot of fun. There are so many creative ideas around that kids love to make with their parents. 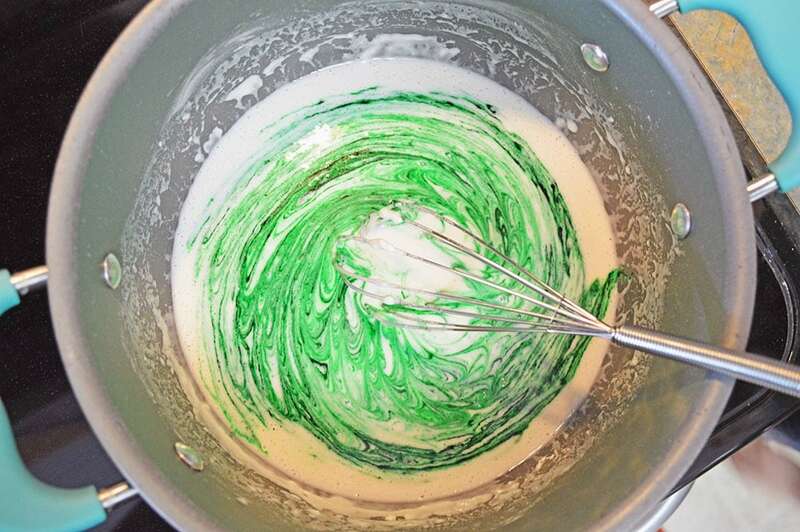 One of my favorite things to make with my kids is homemade playdough! 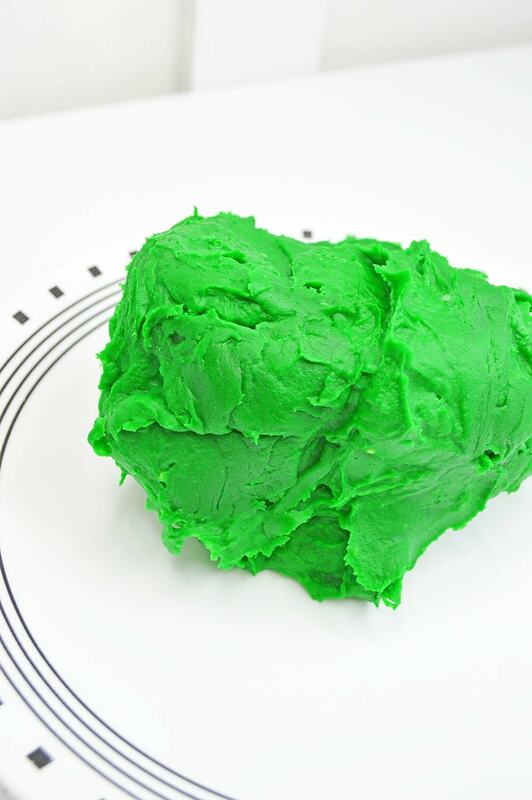 I remember making homemade playdough with my mom when I was a kid. I loved watching her make it on the stove while I picked out my favorite color to dye it. The smell of homemade playdough brings back so many positive memories of being in the kitchen with my mom. 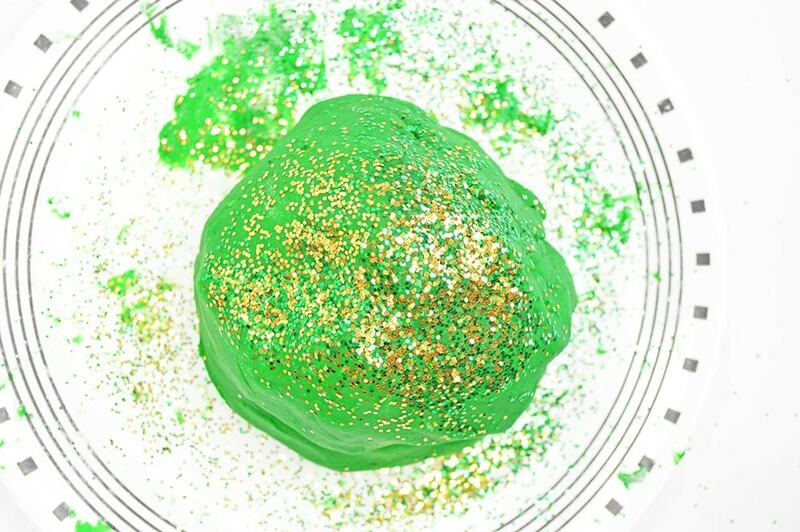 This time around, I wanted to add a little glitz and glimmer to our standard homemade playdough recipes so we picked out some green and gold glitter to add to the bright green playdough. 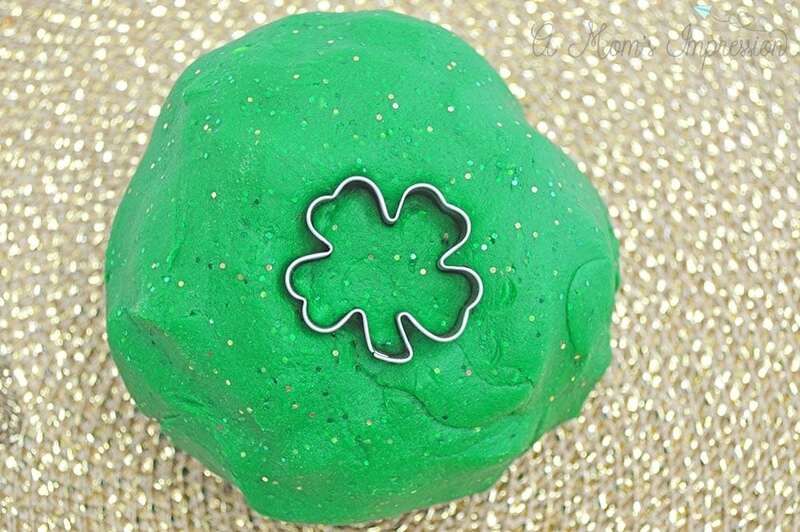 The result is the best glitter playdough recipe you will find anywhere! 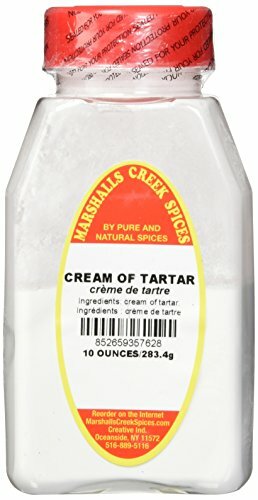 In a large pot, combine flour, salt, oil, cream of tartar, and water, mix well with a whisk. 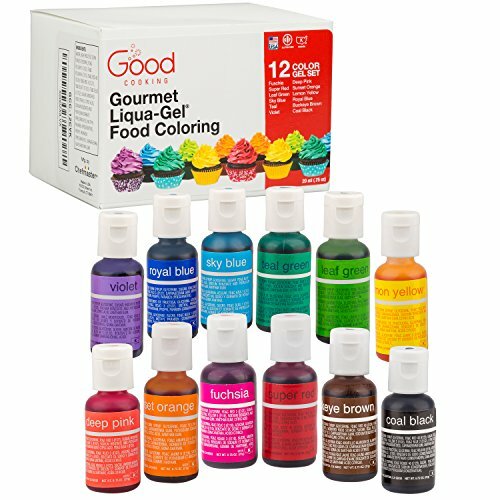 Add a couple of drops of gel food coloring and mix well. Cook on medium-low heat, stirring constantly. Playdough will begin to thicken and eventually form a thick ball of dough. Pour your dough onto a surface to cool. Once cool, knead your dough. 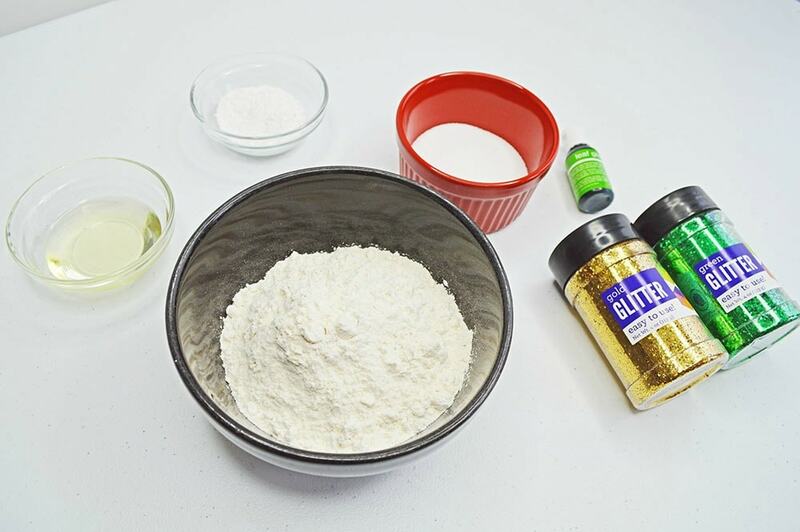 If it is still sticky, add a little extra flour and knead it in. 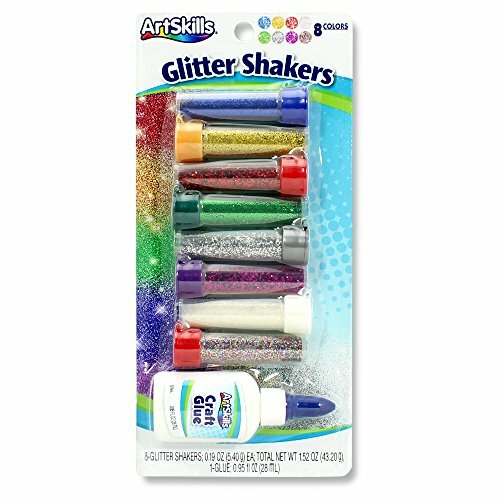 Add glitter a little at a time to your dough and knead to mix it through.